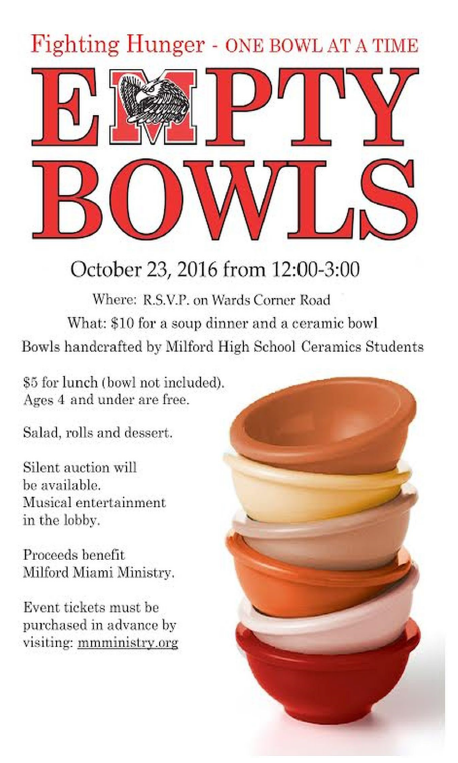 Milford High School students and Milford Miami Ministry are collaborating to host Empty Bowls on October 23, from noon-3 p.m. at R.S.V.P. on Wards Corner. 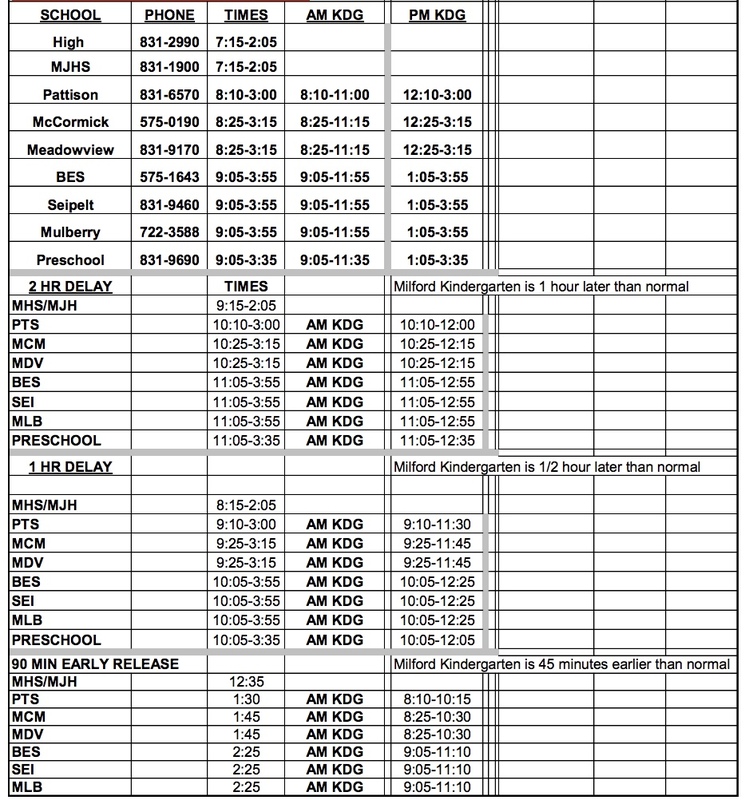 Ceramic bowls, handcrafted by Milford High School ceramic students, are $10 and include a soup dinner. There is also an option of $5 for lunch (bowl not included), which includes salad, rolls, and dessert. Ages 4 and under for free. A silent auction will be available and musical entertainment open in the lobby. All proceeds benefit Milford Miami Ministry. Event tickets must be purchased in advance by visiting: mmministry.org.